Just ran across this image from a trip to British Columbia to fish Kamloops rainbows with the stillwater master, Brian Chan. 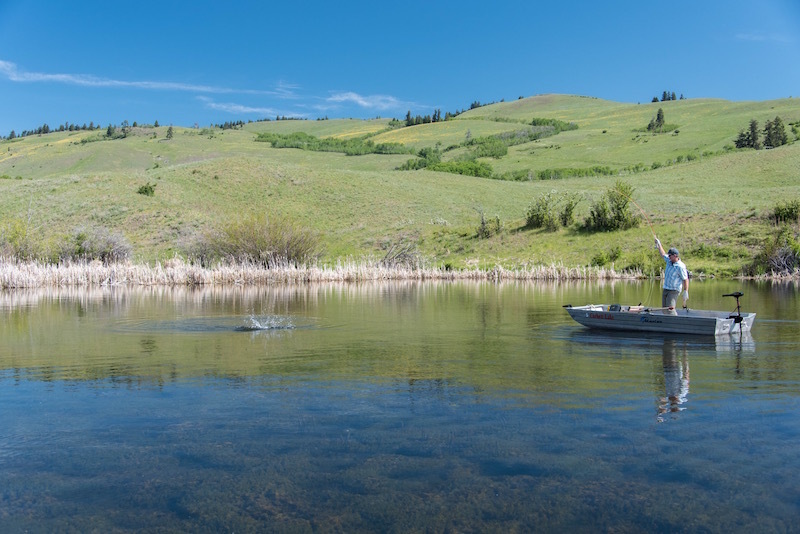 We caught scads of solid rainbows on deeply fished chironomids, and laughed our heads off during our two days worth of conversations. I also fished with Geoff Moore of the Caribou-Chilcotin Coast Tourism Association and we ran hard. We spent some time at Corbett Lake Lodge but mostly camped in the woods with enough supplies to embalm ourselves. Hey, that’s fishing life, right? And give us some credit, we got up early each day and fished, as all real fisherman would. 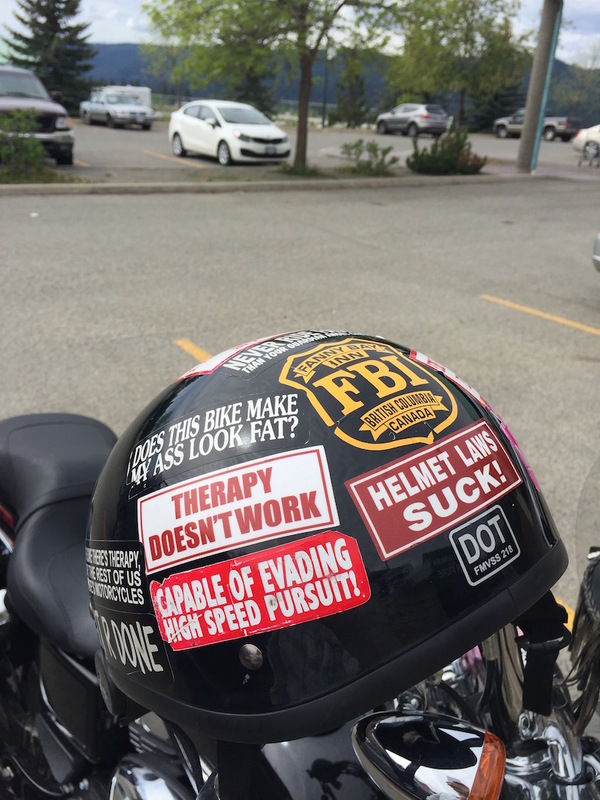 A few pics here, but the helmut one makes me really laugh. MJ’s got nothing on my white gloves, or my trout-set. Corbett Lake. The man, on the right, Brian Chan. We used the longest leaders known to man, fished chironomids deep, and pulled up scads of these British Columbia behemoths. 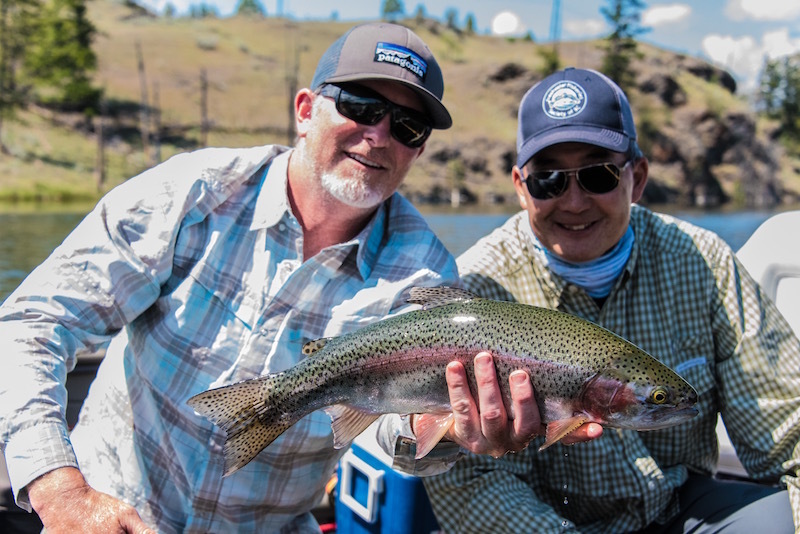 A treasure day with an angler who deserves all the respect that he gets—Chan can fish. And he’s just plain fun to hang with. This entry was posted in CANADA, Culture, Travel and tagged Geoff Moore Cariboo Chilcotin Coast. Bookmark the permalink.